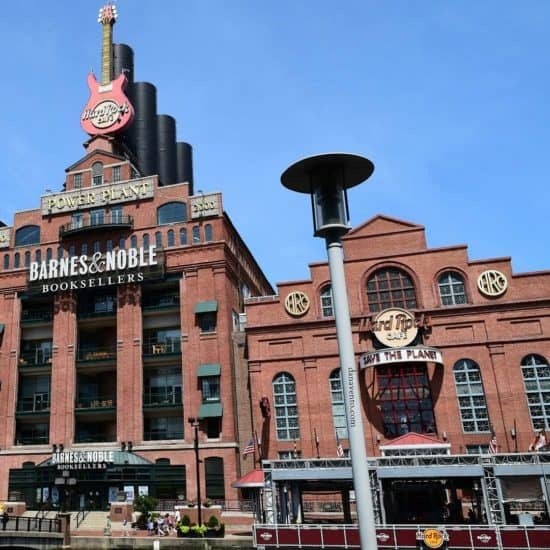 The Hard Rock Cafe Baltimore is ideally located in the heart of Inner Harbor, accessible by water taxi, or by foot! The outside area offers both dining and live music accompanied by a bar as well as waterfront scenery. Traveling and food are my two passions in life and you really can’t have one without the other! I heart food and travel so what a perfect combination I have chosen. Unfortunately, my one child has severe food allergies and dining out is always a challenge when we travel. 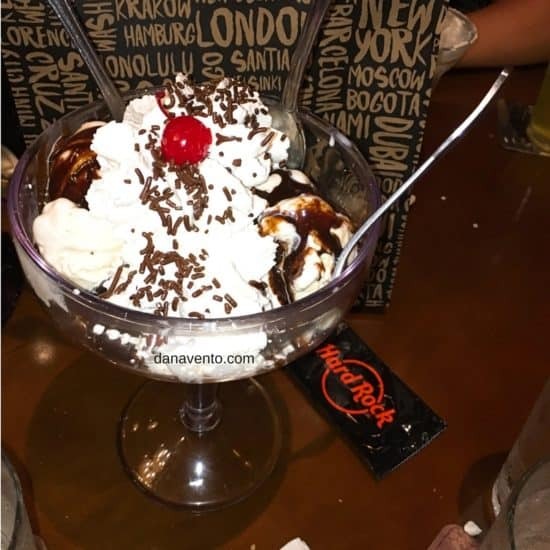 We love the Hard Rock Cafe and visit them anywhere we travel because of allergen-friendly dining. Lavishly live food out loud and travel to the Hard Rock Cafe Baltimore! The Hard Rock Cafe Baltimore is located along the main thoroughfare in Inner Harbor. I love the photo opportunities provided by this location day or night and no matter where we were in Inner Harbor we used the Large Branded Hard Rock Cafe Guitar to find our way back home! Additionally we used the Hard Rock Cafe guitar as our landmark while we were walking. It kept us in the vicinity and on our toes when it was getting late. So you might want to do the same. It’s truly easy to find this buildilng amongst all others. Something that I find the coolest about the Hard Rock Cafe is always the amazing and talented staff. Our server JOSH communicated with my kids as thoroughly as he communicated with me. Something atypical about most dining experiences we have had. Josh made the kids feel important and he made very sure that my son’s allergies were tended too. He is so full of personality, wish we could bottle it! My oldest son definitely enjoyed his time here and loved that he was ‘talked with’ not ‘talked at’! In fact, Josh discussed the allergen-friendly foods that my son could eat with my son, letting him make his own decisions, which was Big Boy Cool! Yes, it’s a big deal when you are a tween/teen and pick your own stuff rather than MOM having to do it, so thank you Hard Rock Cafe Baltimore. Josh knows the menu inside and out. Josh struck a happy note and 3 fans with his champion Starter suggestion of The Hard Rock Cafe Classic Nachos. These are fantabulous and I order them at every Hard Rock Cafe we visit, you gotta! The chips are piled high and layered with three beans mixed, cheeses and pico de gallo, green onions and jalapenos (my oldest called these pickles, bit in and had a little FIRE experience, lol!) We did these sins meat and shared a very generous platter between four people. Don’t forget the drinks, I did not! Teens tend to eat a lot and there was no holding back between any of us. Yes we all had a fair amount, so you can do ‘splitsies’ on these. Why do I mention this? Often I get questions via inbox, like: Was it really that big and Yes it is that big and piled high. It’s not meant to be a main meal if you are having it as an appetizer, so there is plenty! Dig On In, and if you are of age, totally get the beer! Travel and dining are only as fun as the souvenirs, so deciding to get the souvenir glass with margaritas in it was a grand decision on my part! 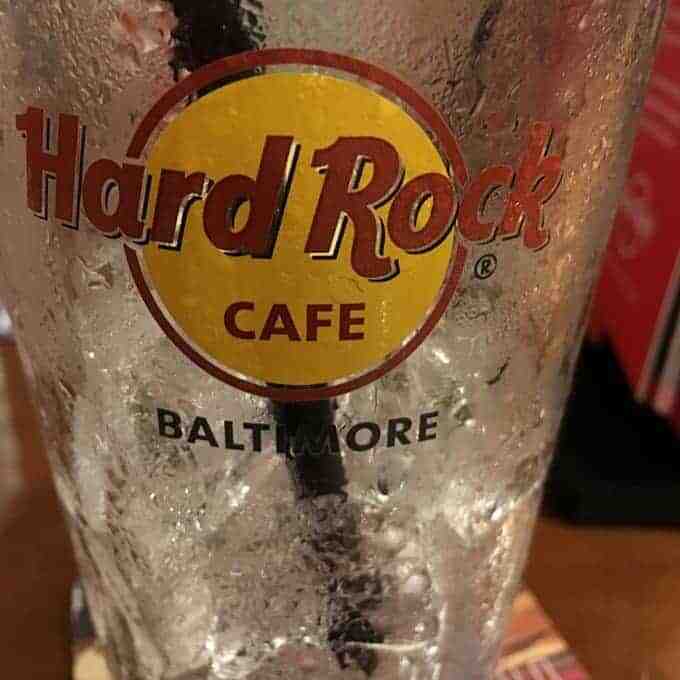 I am now the owner of a Hard Rock Cafe Baltimore souvenir glasses! Souvenir glasses are fun to collect and these are nice thick glass. Great for sipping at home and reimagining that trip. So, just remember they give you a fresh glass don’t take the one on the table, lol! My son with allergies enjoyed Fries from a dedicated fryer — How excited was he? Topping off the fries was The Big Cheeseburger, but he did not eat the lettuce and tomato. This burger had three thick slices of American Cheese and he ate it all up! Hold on to your taste-buds because the Original Legendary® Burger is about to make an appearance. My birthday boy celebrated with this yummy burger. 1/2-lb Certified Angus Beef® burger topped off with smoked bacon, cheddar cheese and golden fried onion rings. He scoffed that right on up! Goodbye burger! I dined on the Veggie Leggie which is perfect for those of us who don’t want to eat meat, but want to get filled up! The Honey Mustard Grilled Chicken Sandwich was my daughter’s choice which provided her with a toasted brioche bun, honey mustard, smoked bacon, melted Jack cheese and grilled chicken. She grabbed the sriracho mayo sauce from her brother’s burger and added it to her sandwich. No matter what you order, ask for a dunking cup of the sriracho mayo because everything should be dunked in this addictive sauce! It’s funny to see my kids try new things and like them, because you know how picky teen eaters can be. Dip, and enjoy! 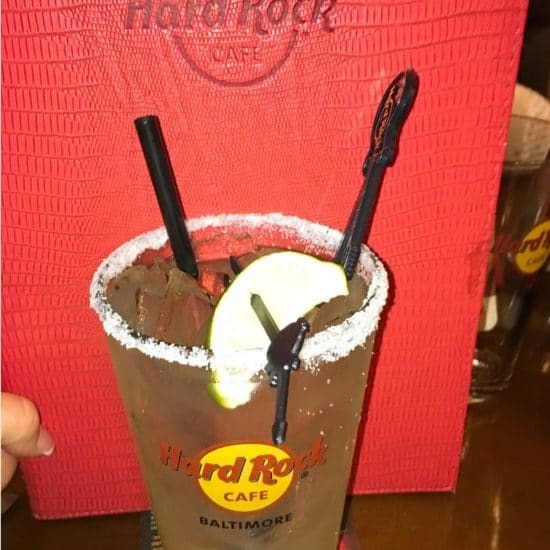 There were a lot of parties around us, because a lot of large groups love the Hard Rock Cafe Baltimore for gatherings and in those gatherings were birthdays. We also had our own special birthday celebration while we were there and Josh rocked the whole Hard Rock Cafe with MJ’s Birthday song. See the Video HERE! 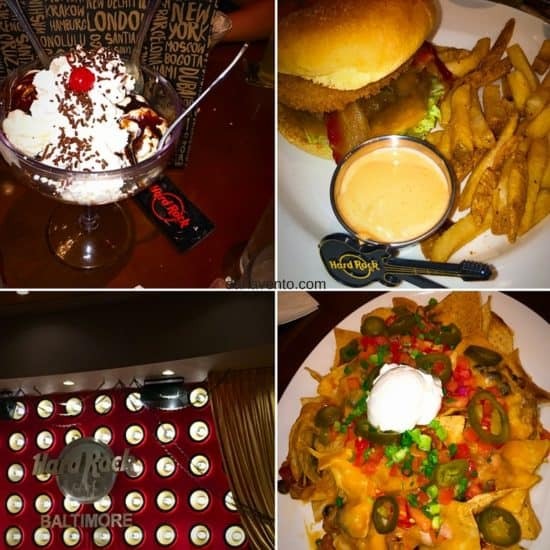 Food and Travel are a blast when you can locate a Hard Rock Cafe. Enjoy Allergen Friendly Dining, Delicious libations and tons of fun with your server as you lavishly live food out loud! Our thanks to the Hard Rock Baltimore for hosting our dinner! *Meal was hosted, opinions and images are my own based on my experience. Ohhh Lordtt Child! Why does the nachos look sooo delectable? I could eat it all up right now. This Hrd Rock Cafe in Baltimore seems to be amazing! All the foods are amazing! My husband and I love visiting Hard Rock cafes whenever there’s one close by to a city we’re visiting. Haven’t been to the Baltimore one, although that’s not too far from us. Definitely checking it out next time we go there! I have been to the Hard Rock Cafe here in NYC and its awesome the food is also delicious! Yeah! 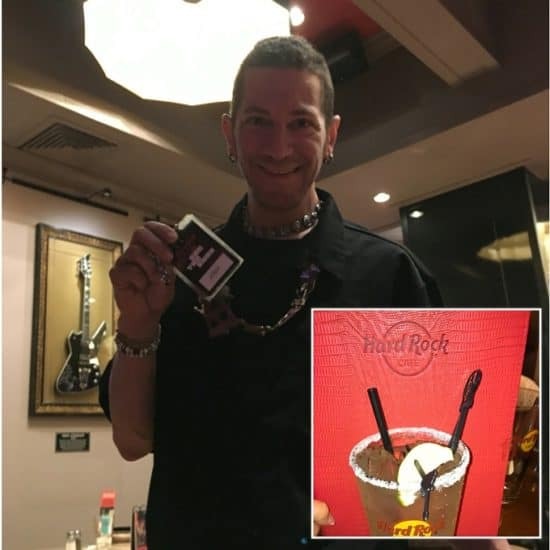 My family and I went to Hard Rock Cafe in Las Vegas, it was too expensive! We enjoyed eating some delicious foods. My husband told me that he heard some musics pretty good. We love our Hard Rock Cafe in Atlanta. It is such a fun place to visit and the food is excellent! I already tried Hard Rock, and I love their burgers. I also love their service and ambiance. The Hard Rock Cafe is so cool. I have a goal to try and visit each and every one of them some day. 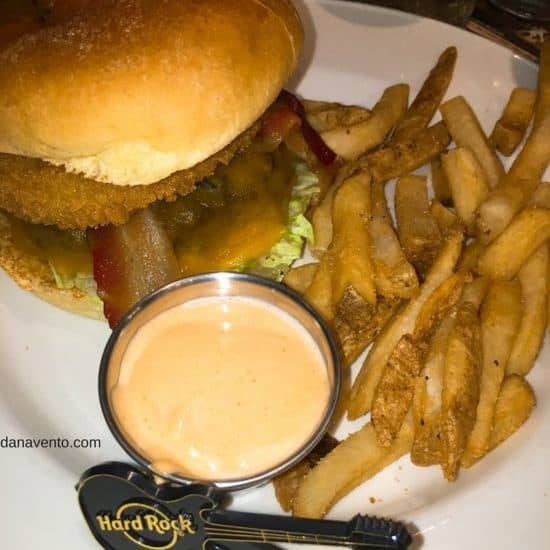 I’ve been to the Hard Rock Cafe in NYC and loved the atmosphere (and food)! Baltimore looks like a great place too, inside and out! i simply put them all on my bucketlist.. I haven’t been to that exact location but I love Hard Rock. I always get their pulled pork sammy! The place comes across as an elegant place to chill over some good food and great company. I have been to a bunch of Hard Rocks, but I haven’t ventured to this one yet. Love Hard Rock Cafe in our place. They surely do know how to host a party and make everybody happy and merry. Ohhhh, the food looks EXCELLENT! I also love that the staff was so caring and attentive! nacho love! yay! 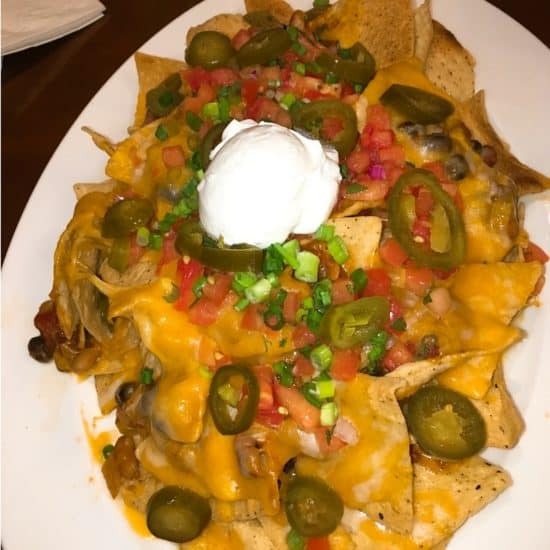 i love the hard rock cafe and nachos are my absolute fav when there. great post and pictures. Oh my! I would love to have a dish of those nachos right now. So glad that you had such a fun server to make your experience fun! All of that food looks great. I have always wanted to visit a Hard Rock. Sounds like a really great time. I was recently in Baltimore and actually ate here. The environment was very lively and the food was great. It did take a while to get a seat though. oh, my two fav shops right next to each other. barnes and nobel and hard rock. Love the food, love the birthday song. So great!! I love Hard rock cafe. I have to go to Baltimore to try this one. I never been in Hard rock cafe and their food was really looks amazing. Amazing! I’m sure it was a memorable dining experience based from this post and I’m glad you had a great time and so did the kids. The food looks great and it’s good that they also adjust to people with allergies. I think Hardrock will always be a staple.